What is better than going out and dancing to Salsa- or Bachata music on a hot summer night in Madrid, Spain? Not much, if you ask us. Let loose and dance like nobody is watching. Madrid is full of life, especially during the night. For our blog of this month we would like to introduce you to some excellent Salsa and Bachata clubs, where you will be able to dance the night away. And do not be afraid to feel the need to bring a partner, as these clubs it is very common to be asked to dance by very handsome (Latin) men. Below we will first share with you the clubs of which we believe you will be able to experience true Latin fever. After, we will recommend a few dance schools, in case you feel the need to learn some Latin dance moves before hitting a club. Keep on reading and soon you will be a true Latin dance pro! To get specific information about the timetable for the different classes and their price list you can contact them directly or we, at the hostel, can do that for you. The entrance fee includes the classes, in case you want to join them, and also the party afterwards, which they call social Salsa, Bachata, Kizomba. So, Social SBK means that you can party freely, without a dance-instructor, on Salsa, Bachata and Kizomba music. 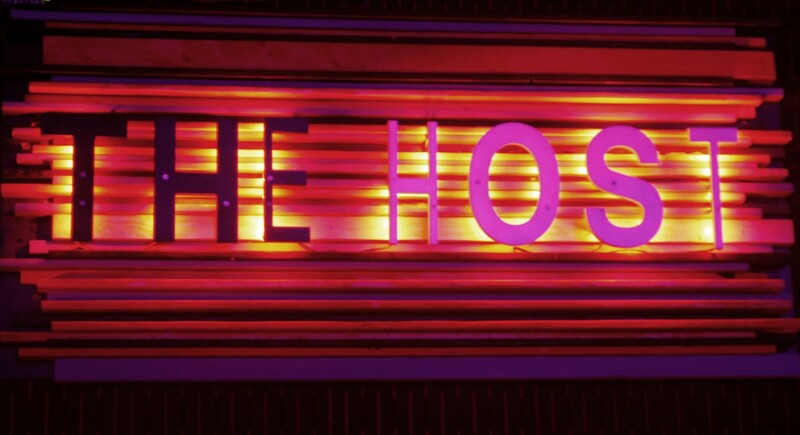 The Host is not only a Latin club, but it is also a famous meeting point for lovers of Latin-dance. The space of the club is quite ample, and the decorations and lightning are pretty cool. At this place you can listen to Salsa, Bachata, Kizomba, Afro-rumba, Tango, Salsa Hip-Hop and Street Dance. The Host is also quite fancy, offering valet parking and a VIP area where you can reserve a private table, if you are in for an extravagant night out. Just around the corner of Puerta del Sol, which is the main square in the city center of Madrid and also known as the ¨heart of Madrid¨, you can find Discoteca El Son. This club is one of the most famous and comercial Latin clubs of Madrid. You can run into all sorts of crowds at this place. The music they play is Salsa and Caribbean tunes and the environment is great to dance and also to relax for a little at the bar, while sipping on a Cuban mojito or daiquiri made by one of their handsome bartenders. People say that, amongst the crowd, there are professional dancers inviting people to dance at Discoteca El Son, taking care that nobody ever stands still. At this place you will have a great night, guaranteed! Their opening times are from Tuesday to Saturday from 22:00 to 06:00 and the entrance fee is around 20€, always with a drink included. And the entrance fee is 10€ with one drink included. After that, drinks start at 5€ (depending on the brand of liquor you choose), which is a pretty good deal for Madrid prices. If you are one of the people who are ¨not even a beginner¨ you might want to check out a dance school first. And we, at Mad4You Hostel, have got you covered. At dance school Salsabachata Quevedo they offer a ¨free first class¨ for all levels. The music styles that they work with include Funky, Bachata, Flamenco, Afrocubano, Mambo, Zumba, Kizomba, Salsa Cubana, Twerk, Pole Dance, Afrobeats, Dancehall, Tango, Bollywood and Salsa. So, as you can see, they have loads of types of music to learn to dance to. If you are coming to Madrid with a group of friends and want to do something fun together, then Kilatinum is your place. At this dance school you can rent a private space and get private classes just with your group of friends before hitting the club. You can learn to dance to Salsa, Bachata, Kizomba, Zumba, Pole Dance, Flexi, Country, Swim and many more. Prices for private classes start at 20€ per hour and you can reserve on their website www.kilatinum.es. This dance school is only 6 minutes walking from Mad4You Hostel. We say: get your friends excited and practice your moves so you can show them off at the clubs of Madrid. Prices may vary and therefore we recommend you to contact Círculo de Baile explaining them your wishes and confirmed the prices. We hope we have given you enough information to transform yourself into a professional Latin dancer and to be able to enjoy this segment of the night life Madrid has to offer. We can guarantee you that enjoying a night of dancing to Latin music is not only great for the muscles in your body but will also give you great pleasure, loads or laughs and happiness. If you decide to check out one of the places we mention in this blog, let us know how it was. We would love to hear about your experience! Please do not forget that we, here at Mad4You Hostel, are always at your complete disposal for whatever you might need here in Madrid, Spain. We believe we are one of the best hostels in Madrid with a team that can help you with almost anything. Just contact us via email at info@mad4youhostel.com or give us a call on 0034 915 217 549.